These are images captured from a television screen of news channels. 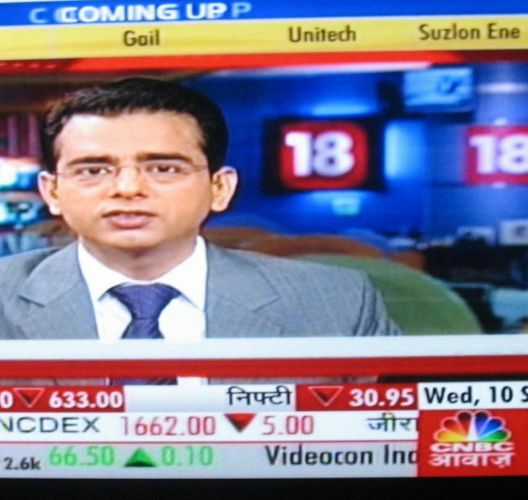 The people in the images are well known news anchors from different TV channels. Bloggers writing posts about news anchors or news channels could find these useful. 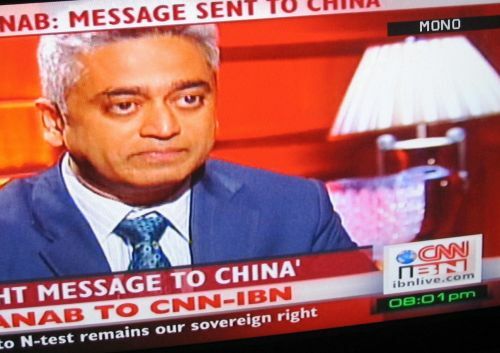 This is Rajdeep Sardesai from CNN IBN conducting an interview on his channel. 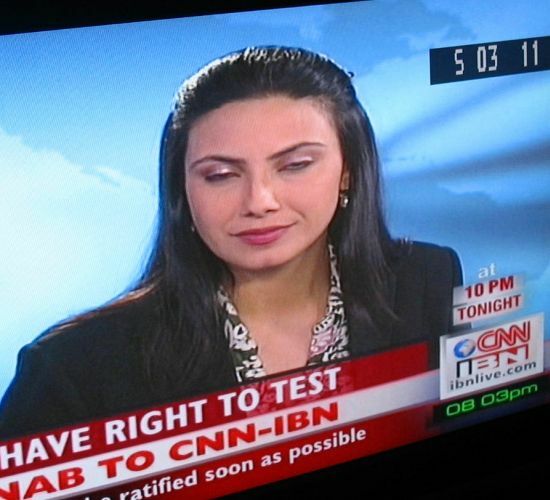 This is another (female) news reader from CNN-IBN. 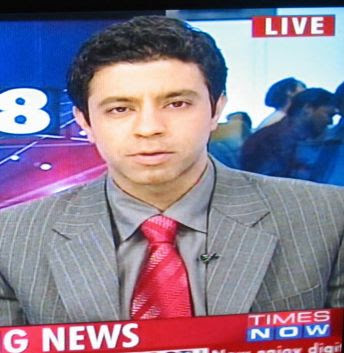 Here is another more famous news anchor from the Times Now news channel. 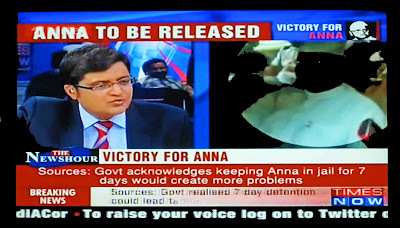 Arnab Goswami. His style is often hysterical. He uses his hands a lot, and points and waves in addition to the accusing tone that he uses frequently. This is Rahul Kanwal from Headlines Today. 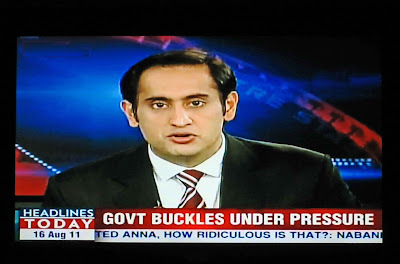 A news anchor who manages sensationalism with panache. Without yelling, screaming and pointing. 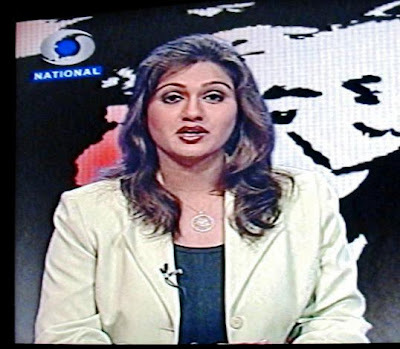 An unknown woman news reader from the Doordarshan news channel. DD is the national broadcaster, government owned. This male news anchor is from the Hindi business channel, CNBC Awaaz. A well known news anchor from NDTV Live, a Hindi news channel. 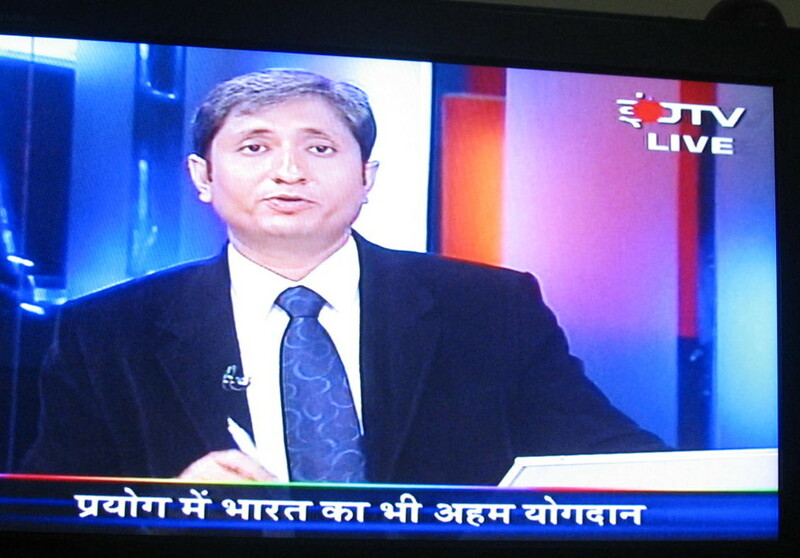 Another TV grab from CNN IBN. Sagarika Ghose (second from left) is interviewing panelists. The man second from the right is the head honcho (now retired) at Infosys, Narayan Murthy.